Univ. 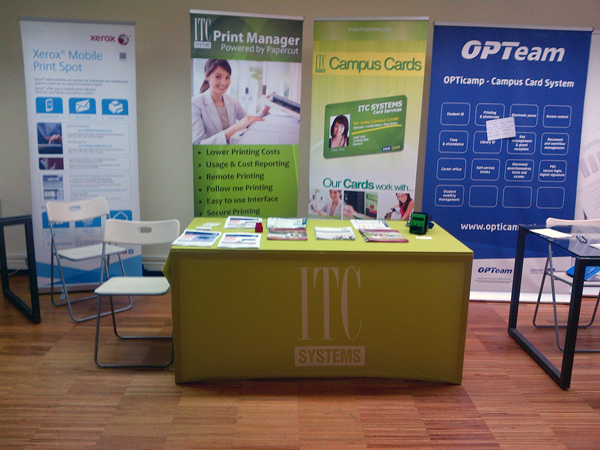 of Porto, Portugal: As a member of the European Campus Card Association, ITC Systems took part in this years annual conference at the University of Porto in Portugal. This years conference brought together a variety of campus card professionals from a wide array of disciplines from all across Europe.  Europe is a key market as ITC Systems continue to address the needs of its customers across the globe, describes Campbell Richardson, the CEO of ITC Systems. Mr. Richardson also adds that he was very impressed at how well attended and informative the event was. With Advancing Student Identity as the theme, the conference addressed key topics such as Near Field Communication and Mobile Application. ITC Systems thanks all the staff and volunteers from ECCA and the University of Porto as well as all the guest speakers that made the conference truly special. ITC Systems’ would also like to provide a special thank you to each and everyone who attended the show and swung by our booth to learn about the great products and services ITC Systems has to offer.